Go to: What is GNU? The mission of LibrePlanet is to empower a global network of both local and project-based teams, all working together to advance free software as a social movement for user freedom. Free software is paramount for a free society. As computers play increasingly integral roles in more and more aspects of our lives, the role of software freedom in guaranteeing our general freedom grows in parallel. The software which runs on our computers defines how we experience and interact with the world, so we must ensure that we have the freedom and control to determine how we connect and communicate with each another. Otherwise, we make our autonomy contingent on the people and corporations who own software. Bridge connections between activists, users, and contributors in the free software community. Promote free software ideals through education, campaigns, and events. Build and contribute to free software code, documentation, and design. Welcome all interested people to free software, and help motivate and increase their involvement. Provide support and guidance for people using and contributing to free software. Keep focus on free software as an ethical social movement, more than just a way of producing software. Our primary activity is organizing and operating local teams. These teams are organized by geographical region and open to anyone who would like to get involved. While our main focus is on these local groups, LibrePlanet is also an organizing space for everyone in the free software community to collaborate around global projects and issues. LibrePlanet will work to provide the necessary infrastructure, tools, and resources to help free software proponents amplify their advocacy. This project began during the 2006 FSF Associate Member Meeting to help organize ways to bring free software as a movement “into the mainstream.” We started by organizing the FSF members at the 2006 meeting into groups based on geography. They then brainstormed ideas for how to organize people around issues central to the free software movement, and posted those ideas on a wiki page titled after their region. You can read those ideas on the pages linked to from the 2006 Member Meeting page. LibrePlanet teams are part of a global network of groups organized by geographical region, project, or focus, all working together for free software in accordance with the LibrePlanet project’s mission statement and code of conduct. Check the team list for a local LibrePlanet chapter in your area. Joining a local team is easy and your level of involvement is up to you. LibrePlanet Teams should have instructions on how to join. You are encouraged to take initiative on any projects or ideas you have instead of waiting for permission. Learn more about how to get involed on the participation page. Local free software groups like GNU/Linux User Groups which are not LibrePlanet teams are also catalogued on this wiki. You can find them through the regional group category. These groups are also welcome to use the wiki as an organizing space. If you are involved with any of those groups that are not already listed, please add a page for it with the proper regional category. We also encourage you to collaborate with non-LibrePlanet groups. You may even discuss the possiblity of such groups to convert to a LibrePlanet chapter. LibrePlanet teams are more inclusive than promoting a specific piece of software, but are also much more focused on the goal of advancing free software, and have many resources and benefits. LibrePlanet is young and most regions still do not have teams set up! If there’s no team for your area yet, consider starting one. See our instructions on starting new teams if you have the time to do so! The tradition of computer enthusiasts and fans forming meeting groups around their shared passion is as old as the personal computer itself. Today, there are so many efforts to establish local groups around various free software projects. From GNU Linux user groups, to distribution-specific advocacy groups, to groups around programming languages, and various user and hacker groups for lots of exciting free software projects that we are grateful to have today. The LibrePlanet wiki is here to leverage that vast network of free software communities and provide the infrastructure to catalogue them all and build a network of support around them. LibrePlanet teams aim to be widely inclusive, but still focused teams that can supplement other existing groups. HTTPS Everywhere encrypts your communications with many major websites, making your browsing more secure. More info. After the success of our 2012 event and follow up, we have already set a date for the next Day Against DRM. Thanks to everyone who supported us in 2012, and we hope to see your support again next year. The threat posed by DRM to all forms of digital media, including ebooks is an ongoing struggle. Join Defective by Design today and receive regular email alerts on progress and actions against DRM. Update, 2013-3-21: you can take action against DRM at the W3C by joining Defective By Design’s campaign. There’s a new front in the battle against digital rights management (DRM) technologies. These technologies, which supposedly exist to enforce copyright, have never done anything to get creative people paid. Instead, by design or by accident, their real effect is to interfere with innovation, fair use, competition, interoperability, and our right to own things. That’s why we were appalled to learn that there is a proposal currently before the World Wide Web Consortium‘s HTML5 Working Group to build DRM into the next generation of core Web standards. The proposal is called Encrypted Media Extensions, or EME. Its adoption would be a calamitous development, and must be stopped. The other view has been represented by corporations that have tried to seize control of the Web with their own proprietary extensions. It has been represented by technologies like Adobe’s Flash, Microsoft’s Silverlight, and pushes by Apple, phone companies, and others toward highly restrictive new platforms. These technologies are intended to be available from a single source or to require permission for new implementations. Whenever these technologies have become popular, they have inflicted damage on the open ecosystems around them. Websites that depend on Flash or Silverlight typically can’t be linked to properly, can’t be indexed, can’t be translated by machine, can’t be accessed by users with disabilities, don’t work on all devices, and pose security and privacy risks to their users. Platforms and devices that restrict their users inevitably prevent important innovations and hamper marketplace competition. The EME proposal suffers from many of these problems because it explicitly abdicates responsibilty on compatibility issues and let web sites require specific proprietary third-party software or even special hardware and particular operating systems (all referred to under the generic name “content decryption modules”, or CDMs, and none of them specified by EME). EME’s authors keep saying that what CDMs are, and do, and where they come from is totally outside of the scope of EME, and that EME itself can’t be thought of as DRM because not all CDMs are DRM systems. Yet if the client can’t prove it’s running the particular proprietary thing the site demands, and hence doesn’t have an approved CDM, it can’t render the site’s content. Perversely, this is exactly the reverse of the reason that the World Wide Web Consortium exists in the first place. W3C is there to create comprehensible, publicly-implementable standards that will guarantee interoperability, not to facilitate an explosion of new mutually-incompatible software and of sites and services that can only be accessed by particular devices or applications. But EME is a proposal to bring exactly that dysfunctional dynamic into HTML5, even risking a return to the “bad old days, before the Web” of deliberately limited interoperability. Because it’s clear that the open standards community is extremely suspicious of DRM and its interoperability consequences, the proposal from Google, Microsoft and Netflix claims that “[n]o ‘DRM’ is added to the HTML5 specification” by EME. This is like saying, “we’re not vampires, but we are going to invite them into your house”. Proponents also seem to claim that EME is not itself a DRM scheme. But specification author Mark Watson admitted that “Certainly, our interest is in [use] cases that most people would call DRM” and that implementations would inherently require secrets outside the specification’s scope. It’s hard to maintain a pretense that EME is about anything but DRM. The DRM proposals at the W3C exist for a simple reason: they are an attempt to appease Hollywood, which has been angry about the Internet for almost as long as the Web has existed, and has always demanded that it be given elaborate technical infrastructure to control how its audience’s computers function. 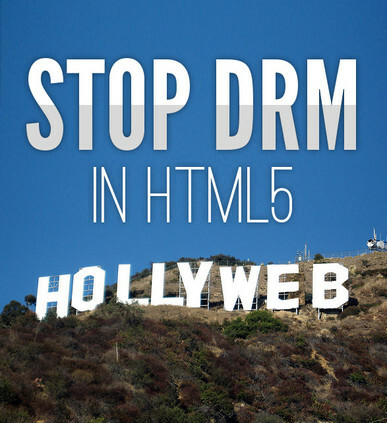 The perception is that Hollywood will never allow movies onto the Web if it can’t encumber them with DRM restrictions. But the threat that Hollywood could take its toys and go home is illusory. Every film that Hollywood releases is already available for those who really want to pirate a copy. Huge volumes of music are sold by iTunes, Amazon, Magnatune and dozens of other sites without the need for DRM. Streaming services like Netflix and Spotify have succeeded because they are more convenient than piratical alternatives, not because DRM does anything to enhance their economics. The only logically coherent reason for Hollywood to demand DRM is that the movie studios want veto controls over how mainstream technolgies are designed. Movie studios have used DRM to enforce arbitrary restrictions on products, including preventing fast-forwarding and imposing regional playback controls, and created complicated and expensive “compliance” regimes for compliant technology companies that give small consortia of media and big tech companies a veto right on innovation. All too often, technology companies have raced against each other to build restrictive tangleware that suits Hollywood’s whims, selling out their users in the process. But open Web standards are an antidote to that dynamic, and it would be a terrible mistake for the Web community to leave the door open for Hollywood’s gangrenous anti-technology culture to infect W3C standards. It would undermine the very purposes for which HTML5 exists: to build an open-ecosystem alternatives to all the functionality that is missing in previous web standards, without the problems of device limitations, platform incompatibility, and non-transparency that were created by platforms like Flash. HTML5 was supposed to be better than Flash, and excluding DRM is exactly what would make it better. Many thanks to the people at http://www.movements.org/how-to/entry/how-to-prepare-for-an-internet-connection-cut-off/ for providing this useful information. Burma, Nepal, Kyrgyzstan, Belarus, and Tajikistan, and – most recently – Egypt and Libya, are all countries where governments have controlled access to communication technologies as a way to hinder social mobilization during periods of political unrest. If you live in a country where this is a possibility, consider preparing for it. Keep all your outmoded technology – it may come in handy. If you live in a country likely to experience shut down of internet service providers at the behest of the government, keep in mind that tools like modems and even fax machines might be useful again. You can use a modem to access the web via dial-up provided you have a working telephone line. As in Egypt during the January 25 uprising, supporters can make available international numbers that you can dial into to avoid your local ISPs (since they will be shut down). You’ll also need an international dial in number, a working phone line, and bluetooth equipped cell phone and computer. Stay tuned to the Telecomix activists’ network, which began providing disconnected people with dial up links to the WWW when Egypt lost its connection, and again in Libya a month later. Take all your contacts out of the cloud. It’s a good idea to make sure you have a list of your contacts’ emails printed out and readily available. For example, the We Are All Khaled Said Facebook page prepared for a possible Facebook cut-off in Egypt by asking supporters to share their email addresses and other contact information on a Google spreadsheet. Most email clients let you easily export and download your contacts. Learn how to export Gmail contacts and Yahoo! Mail contacts. Gather contacts’ phone numbers and write them down. Make sure to have a phone tree prepared ahead of time. A phone tree is “a prearranged, pyramid-shaped system for activating a group of people by telephone.” Your contacts are divided into different groups with each group having a coordinator. These coordinators will be responsible for calling other members. CB Radio and ham radios can be used to communicate. A CB (“citizens band”) two-way radio service allows for communication over short distances. You don’t need a license to operate one. Ham radios–or amateur radios–are non-commercial and use designated radio bands to transmit communications. They are commonly used for voice transmissions and morse code. The requirements for receiving an amateur radio license vary country to country, so you will need to check what type of license you need to obtain. Ham radio signals are harder for governments to track and block. Learn more about becoming a ham radio operator with Wired’s how-to wiki. There is an active ham radio community that you can tap into right now and work with to develop a contingency plan for getting information out of your country in the event of a net shut down. Use a fax machine to send and receive documents. Many printers now also come with fax machines built in, or you can use a standalone machine. Both parties need working phone lines and fax machines. Turn to FidoNet, a networking system that can be used for communication between bulletin board systems. Mail and files can be exchanged via modems using a proprietary protocol. You must meet the technical requirements to join FidoNet. Check out Daihinia, an app that extends the range of a network of devices that aren’t connected to the larger internet but are connected to each other. Adding a chat client, like Pidgin, to this allows activists to talk to one another. Look into how you might be able to harness other chat clients as well. On a Mac you can use the “Rendezvous” feature in iChat to communicate with anyone on the network. In Windows use a third party app like Trillian, and Linux has a bunch of 3rd party apps you can use – note that this does require some technical knowledge, which is why it is all the more important to prepare in advance. Packet radio is a radio communications protocol that lets you create long distance wireless networks between devices like ham radios – if you look into this option before hand, you might be able to create a network using radios. Get involved with OPENMESH, a new project launched by investor Shervin Pishevar. So far, the forum is working as a place for engineers to offer solutions for building a mesh network in Egypt. Have a basic radio on hand so that you can still listen to news. Portable scanners are also helpful for receiving police, fire, and rescue reports. They can be purchased online or at specialty electronics stores and usually cost around $100 USD. Walkie-talkies are handheld, two-way portable radios that can be used to communicate between two people within a short distance (usually at a range around 15-20 miles). A basic walkie-talkie is pretty cheap to purchase. Check with neighbors and friends who may use different internet service providers (ISPs) and see if their connections are still up. For example, in Egypt one ISP (Noor) remained online when all other ISPs cut service. What are we missing? Let us know in the comments and we’ll add them! However, a prepared guerrilla networker with a handful of PCs could make good use of Daihinia ($25, 30-day free trial), an app that piggybacks on your Wi-Fi adapter driver to turn your normal ad-hoc Wi-Fi network into a multihop ad-hoc network (disclaimer: we haven’t tried this ourselves yet), meaning that instead of requiring each device on the network to be within range of the original access point, you simply need to be within range of a device on the network that has Daihinia installed, effectively allowing you to add a wireless mesh layer to your ad-hoc network.Advanced freedom fighters can set up a portal Web page on their network that explains the way the setup works, with Daihinia instructions and a local download link so they can spread the network even further. Lastly, just add a Bonjour-compatible chat client like Pidgin or iChat, and you’ll be able to talk to your neighbors across the city without needing an Internet connection. Unfortunately, such dial-up numbers can also be fairly easily shut down by the Egyptian government, so you could also try returning to FidoNet–a distributed networking system for BBSes that was popular in the 1980s. FidoNet is limited to sending only simple text messages, and it’s slow, but it has two virtues: Users connect asynchronously, so the network traffic is harder to track, and any user can act as the server, which means that even if the government shuts down one number in the network, another one can quickly pop up to take its place.You could also take inspiration from groups that are working to create an ad-hoc communications network into and out of Egypt using Ham Radio, since the signals are rarely tracked and extremely hard to shut down or block. Most of these efforts are still getting off the ground, but hackers are already cobbling together ways to make it a viable form of communication into and out of the country. In response to the crisis in Egypt, nerds everywhere have risen to call for new and exciting tools for use in the next government-mandated shutdown. Bre Pettis, founder of the hackerspace NYC Resistor and creator of the Makerbot 3D printer, has called for “Apps for the Appocalypse,” including a quick and easy way to set up chats on a local network so you can talk with your friends and neighbors in an emergency even without access to the Internet. If his comments are any indication, Appocalypse apps may be headed your way soon.Tons of cool tech are also just waiting to be retrofitted for these purposes. David Dart’s Pirate Box is a one-step local network in a box originally conceived for file sharing and local P2P purposes, but it wouldn’t take much work to adapt the Pirate Box as a local networking tool able to communicate with other pirate boxes to form a compact, mobile set of local networks in the event of an Internet shutdown. Set up a phone tree: According to the American Association of University Women, a phone tree is “a prearranged, pyramid-shaped system for activating a group of people by telephone” that can “spread a brief message quickly and efficiently to a large number of people.” Dig out that contact list you printed out and follow the steps on the AAUW website to spread the message down your pyramid of contacts. Call to Tweet: A small team of engineers from Twitter, Google and SayNow, a company Google acquired recently, made this idea a reality. It’s already live and anyone can tweet by simply leaving a voicemail on one of these international phone numbers (+16504194196 or +390662207294 or +97316199855) and the service will instantly tweet the message using the hashtag #egypt. No Internet connection is required. People can listen to the messages by dialing the same phone numbers or going to the Twitter account, speak2tweet. Alex Jones and infowars.com have a telephone number for people to listen to his radio show by phone, in case the internet goes down, or if you don’t have internet. The phone in listen line is 512-646-5000. While it might be relatively easy for a government to cut connections by leveraging the major ISPs, there are some places they wouldn’t get to so readily, like privately-owned networks and independent ISPs. The online activist group known as Anonymous has posted a crowd-sourced document titled “20 Ways to Circumvent the Egyptians Governments’ Internet Block” that includes specific connectivity details like ham radio frequencies and ip addresses for social networking sites. This page was last modified 00:54, 5 February 2011 by howto_admin. Based on work by lewishb, nottellingnoway, intrepid, sancho, kaitlyn, dmon, haval_mkf, haruspex, jsha, bug, ralfred, edcoyne, fruttaman, wwbsp, mymatecoxy and darkmagentarose. 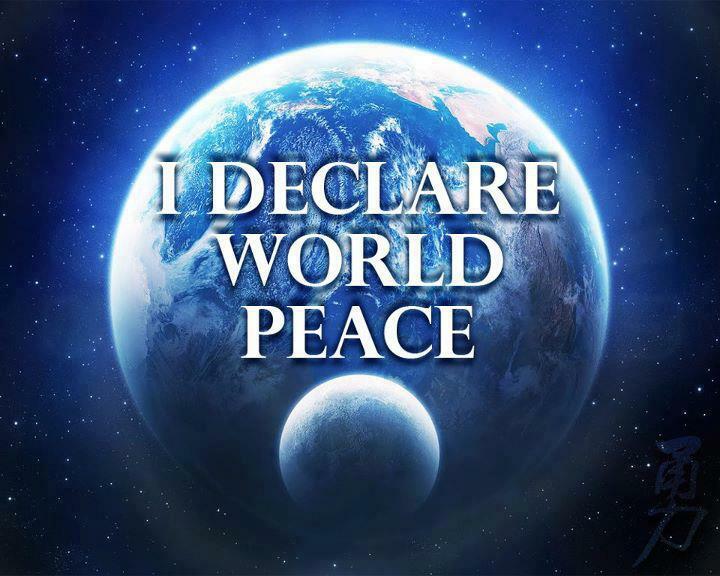 All text and artwork shared under a Creative Commons License. A mesh network is a LAN (usually wireless) where each node is connected to many others, configured to allow connections to be rerouted around broken or blocked paths, with the signal hopping from node to node until it reaches its destination. Mesh networks are self-healing and very reliable. After 3 days of demonstrations in Cairo’s Tahrir (Independence) Square, and ahead of a large protest planned for the upcoming Friday, Egyptian President Hosni Mubarak decided to revoke citizens’ access to the world wide web. Twitter had been flooded with Tweets tagged with the hashtag for the uprising, #Jan25, and the admins of a network of Facebook pages were keeping one another, Egyptians, and the world abreast of what was happening with a regular stream of images, videos and text updates. After the Egyptian government shut down all but one of the country’s Internet Service Providers (ISPS), how would information about the protests reach the world? And if it didn’t, would Mubarak’s military dictatorship be granted impunity to crack down on protesters with brutal force? At the time of the uprising, around 20% of the population was online. The social web in Arabic was growing fast – it had recently become the fastest growing language on Facebook. Much of the Egyptian population, in addition to being more likely to use the internet regularly, was also pretty used to making long distance phone calls. Lastly, Mubarak’s government had not been adept at censoring content online. Egyptians were accustomed to being able to communicate with each other and with the world at large freely and when they wanted, without having to use proxies (as was the case in, for instance, nearby Tunisia). This made the net shutdown that much more of a blow. Around the time that this happened, Google acquired a voicemail company called Say Now to add to their Voice operations. The shut down occurred on a Thursday, and that weekend a well wishing Google engineer had a free weekend and some unalloted 20% time ahead of him. Twitter, where many Egyptians had been broadcasting messages from the streets before losing their connectivity, was also looking to help in some way. And a UCLA graduate student had already been encouraging friends in Cairo to call him on their landlines so that he could transcribe Tweets and post them on his new account: @Jan25Voices. Over the course of the weekend, these three factors led to a new service and a new Twitter handle: @speak2tweet. It allowed Egyptians to post Tweets to the internet in audio form by calling a designated phone number and leaving a voicemail about what they were seeing and experiencing. These voicemails were automatically posted to the @speak2tweet feed. The fact, however, that these Tweets were audio as opposed to the much easier to absorb, and share, text format, and were in Arabic, meant that a lot less people had access to them. That’s when a startup media company called Small World News began to translate the voice messages and setup a website and a new Twitter handle to get the translated content out. The site would be called Alive.in Egypt, consistent with their previous projects, Alive.in Baghdad and Alive in Afghanistan, which also focus on getting high quality and well contextualized citizen created media out from conflict zones to the rest of the world. The SWN team put out a call for translators and people heard them – “At 1 point we had 100 people working on a collective spreadsheet at the same time – we never expected there to be so much interest in shared translation” says Brian Conley, the outfit’s founder (and a Movements.org Senior Fellow!). Meanwhile, Egyptians were also using landlines to gain access to the internet. How? European Internet Service Providers made dial up connections available for free in cooperation with a network of hackers called Telecomix. Everyone did everything they could to get these numbers to people in Egypt, along with directions for how to dust off their old modems and use the dial up numbers to connect to the net. The tools that people were dusting off to remain connected may have been from the 20th century, but there was still a definite learning curve in order to make a lot of these tactics worked. The audience most likely to benefit from the eager offers of help coming from international observers were more likely to be similar to those international observers: technically savvy computer geeks and hackers. It should be mentioned, then, that much of what was coming out was from just a small portion of the population. In the long run, it’s not clear if any of the tactics employed or the tools that were either brushed off or created with Egyptians in mind will grow into products that can be used the next time a population is cut off from the World Wide Web. Attentions quickly shifted away from the problem, and it remains to be seen if the world will, because of what happened in Egypt, acquire a replicable mechanism for keeping a country connected to the world even when it lacks net access. After five days, access to the web was restored. Egyptians went back to Tweeting, Facebooking and using whatever other tools were available to broadcast information about their uprising. If you had to choose one word for what people – activists, hackers and everyone else – found out about one another during those five days it would probably be adaptability. A government can marshall all its resources to stop its people from getting connected to each other and the outside world, but when the entire outside world is working to help those people find ways around that block, just how successful can it be? Global civil society stepped up, marshaled every tool it could, Egyptian voices remained audible despite the communications crackdown, and the protests continued. The question of why Mubarak’s regime reinstated access remains unanswered. It may have been in part because it was clear that, both because of the global network that came to Egyptians aid, and because of the fact that losing access to the web caused every last “keyboard activist” to walk into the streets and towards Tahrir square in search of news about what was going on, revoking access had done the opposite of what was intended. There was also pressure from those whose financial interests were at stake – the last remaining Internet Service Provider was unsurprisingly also the one that serviced major financial interests such as the multinational companies Coca-Cola, Canon, Microsoft and Exxon Mobil, but it too went down around 48 hours before access was restored. It may even have had something to do with a tactical pivot on the part of the regime to try and beat online activists at their own game, unleashing pro-Mubarak Facebook and Twitter users onto online forums. Probably, it was some combination of all these factors. What’s clear is that Mubarak’s net shutdown provided an array of lessons learned for online activists. Who will be more prepared the next time internet access is completely revoked? In the days following the ouster of Mubarak, Telecomix continued to provide dial up connected to protesters in Bahrain and Libya, and SWN launched Alive.in/Libya to help people their get their stories out, even traveling to Benghazi to provide training. Their site has received hits from almost every country in the world. Muiiiitoooo Bom site ótimo, Excelente postagem. Bela postagem ótima postagem muito boa gostei.